It’s what we’ve been waiting for all these years — get our kids off to college and start traveling. I have to say, it’s come too quickly! We have 2 boys going off to college at the same time, yet on opposite sides of the country. 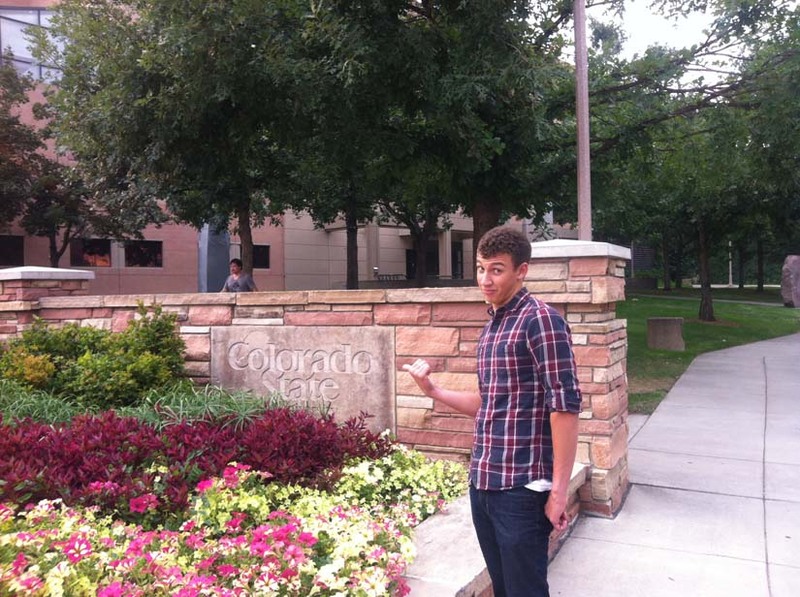 Last week, we drove from Florida to Fort Collins, Colorado to send our youngest off to college. The drive was 26 hours, each of us drove 2 hours at a time which made it bearable. I found out you can even stream Netflix movies on your iPhone to keep you busy when you are not driving. Very cool. Ryan is our youngest and just started school at Colorado State University. We spent 5 days at CSU with Ryan, going through orientation, setting up his college dorm, and spending our last few days of quality time with him before he totally dis-owns us :). Although we lived in Denver for 14 years, we did not realize how beautiful Fort Collins was until we spent a few days there. It has crisp air, beautiful views of the Rocky Mountains, nice golf courses and incredible neighborhoods. It has been voted “the best place to raise a family” many times over and I can now appreciate why.CSU is a very cool school. It has really great spirit. They had a huge pep rally while we were there and threw a family picnic with bands, carnival rides, and lots of things to do. I was really impressed with this school and really look forward to Ryan excelling here. He missed the cut-off for the honors program because he graduated high school a year early and they would not accept him until they got his first semester high school grades. But if he gets a 3.5 average this semester, they will admit him to the honors program with scholarship. Go Ryan! Once we returned from CSU, we wanted to catch up with some friends we won’t see for a while. 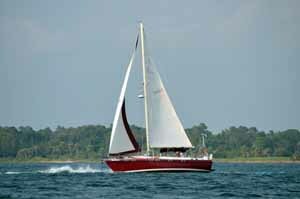 We seemed to go out with different friends each night and spent a lot of time on the boat. We love the ocean — it seems to have healing powers. The last few days we spent packing and unpacking our backpacks for our 3 months trip. We are packing light — we are carrying a backpack and daypack each — that is it for 3 months! We figure if we are missing something while on the road, we will pick it up when we get there. 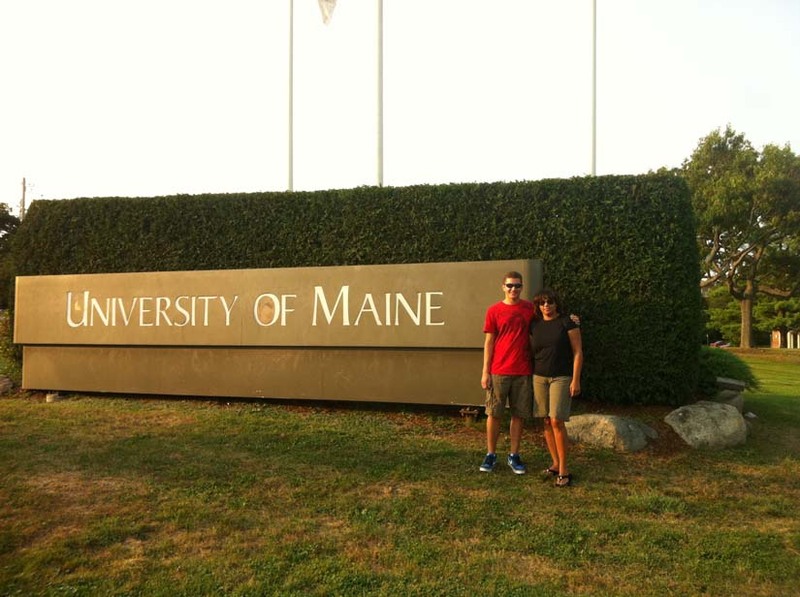 Once we were packed, we traveled 28 hours to Maine to take our oldest son, Cameron, to college at the University of Maine. 28 hours in a Ford Mustang after we had just spent 26 hours in one a few weeks ago with our youngest son in his Kia. Are we nuts? We rotated driving every 2 hours, spent time making final preparations for our trips and watching Netflix movies. It also gave us a lot of quality time to spend with Cameron before he leaves the nest. Cameron’s orientation was in June so we did not spend much time with him at the University of Maine before leaving him on Friday. We were able to help him find some additional things for his dorm, help him get a new phone and get him all settled in. But it really is sad leaving our boys at school, we will miss them so much. But this is how life should be, teach them well and let them enjoy their own successes. Lynn and are looking forward to traveling for months at a time. Our first stop is in Bar Harbor, Maine, where we will meet up with some early retirees we met on the internet (see their site here: http://www.wherewebe.com). Then on to Nova Scotia for a few days. Then we fly to Quito Ecuador to embark on 3 months of solid travel. We look forward to seeing Quito, the Galapagos Islands, the Amazon, Peru, Machu Picchu and possibly Belize. Keep an eye on the blog, I will be chronicling our travels here. This entry was posted in Our Travels on August 31, 2012 by smiller257. Billy and Akaisha Kaderli have been a big inspiration for us. They retired at 38 years old and continue to travel the world. They have a website called Retire Early Lifestyle and have authored several books, our favorite is The Adventurer’s Guide to Early Retirement. We purchased that book many years ago as we were planning our retirement and it was insightful. A few weeks ago, Billy and Akaisha interviewed us and posted the interview on their website at this location: http://retireearlylifestyle.com/miller_interview.htm. Retire Early Lifestyle (REL): Could you tell us a little about yourselves? Steve and Lynn Miller: Our names are Steve and Lynn Miller and for years we have been following advice from many early retirees including Billy and Akaisha. We sold our software business in 2009 and both are fully retired in 2012 at ages 50 and 52. Our kids are going off to college in the fall of 2012 so we plan to feed our wanderlust by traveling most of the year. REL: When do you plan to retire? Millers: Lynn retired at age 50 in 2009 when we sold our business. As part of the purchase agreement, I (Steve) stayed on with the acquiring company until June 2012 when I began consulting a few hours a week for the final transition. On August 1, 2012, I fully retire at age 50. 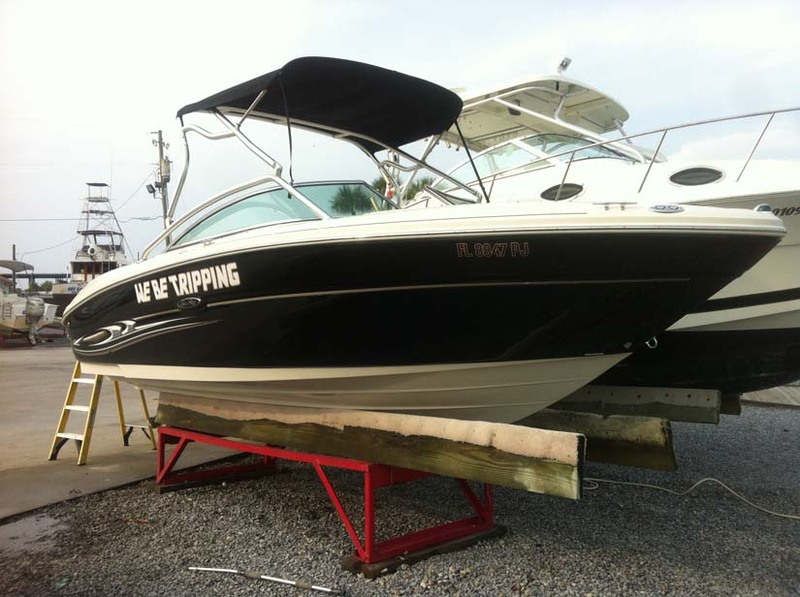 Millers: We began planning our retirement the day we started our business in 1998. Part of our business plan was to build a business that could fuel our retirement when our kids were ready to go off to college. We were motivated to retire early because we love to travel and wanted to experience more travel while we were young and agile. REL: We understand that you have children. How did that affect your pursuit of retirement? Millers: We have 2 wonderful boys that are 17 and 18 years old. Both are going off to college at the same time, as our younger son graduated high school in 3 years. It certainly raises the bar of costs because kids are not cheap! When considering retirement, we did not want them to be saddled with debt when exiting college so we invested in a tax savings Colorado 529 plan as well as a Fidelity college account that covers their first 4 years of school. Our youngest son wants to be a doctor, so he elected to go to an in-state school to reduce his costs, so he can probably stretch the amount we invested into about 6 to 8 years of school. They have been working all summer saving up for daily college expenses not covered by our planning. REL: Do you have a home base? Will you stay put in the same location or move? Millers: Yes, we have been vacationing in the Florida emerald coast for over 20 years and although we lived in Denver during most of our kid’s childhood, we could see ourselves living in Florida. When the housing bubble burst, we took advantage of that and purchased a short-sale condo in Florida in 2011 for a great price. We permanently moved from Denver to our Florida condo in June 2012 and we love it. We plan to stay here for a few years but have always had wandering feet, so the jury’s out on how long we will stay put in this home base. REL: What has been your greatest challenge on your road to Early Retirement? Your biggest lesson? What were your fears and obstacles before making the leap? Did the fears and obstacles pan out or were they replaced with others? Millers: Neither Lynn nor I came from wealthy families and we did not think we could retire early while working for someone else, so we decided our best shot at achieving it would be to build a business that we could sell. We started our software business in 1998 with a $10,000 investment, without any outside capital and maintained 100% ownership of the company. This allowed us to sell when the opportunity presented itself. Our biggest fear was that we had all of our eggs in one basket – if our business failed, so did our dream of early retirement. In hindsight, that pressure was what we needed to keep our costs low and our eye on the ball. REL: Do you have any advice for someone looking to retire in this current economic environment? Millers: I would offer the same advice you guys have been offering for years. Live simply, eliminate your debts, don’t try to keep up with the Jones’ (the Jones’ are probably broke), and have a written plan that outlines the nuts and bolts of how you will achieve your dream of retirement. This is not the first time the economy has been in flux. We grew our business even thru 911 in 2001 when most businesses were going under. We sold our business in 2009 after the market began to crumble in 2008. So don’t allow yourself to blame the economy or anything else, stay positive, follow your plan and enjoy life along the way. REL: Being 50 you have much of your life in front of you. What style of retirement are you looking to create? Do you have goals? A 3-5 year plan? Or are you looking for a care-free lifestyle? Millers: I personally think 50 is the ideal age to retire because you are still young and can take on the challenges of travel. We have committed to staying fit so that we can enjoy this lifestyle for a long time. Our goal for the next 3-5 years is to travel in 3 month stints and return to our home base when the kids return from college breaks and summer vacations. I love to write, so I will chronicle our travels on our travel blog. We are looking for a care-free lifestyle; that is why we purchased a condo that we can lock up and leave in a moment’s notice. We do have an 8 year old black lab that we are using home sitters to take care of while we are on the road, but we are looking for a good home for her in order for us to become more nimble. Do you know of any couples that want a sweet lab? REL: Where have you traveled to longer than 2 weeks? Are you looking to scratch below the surface in your retirement travels? 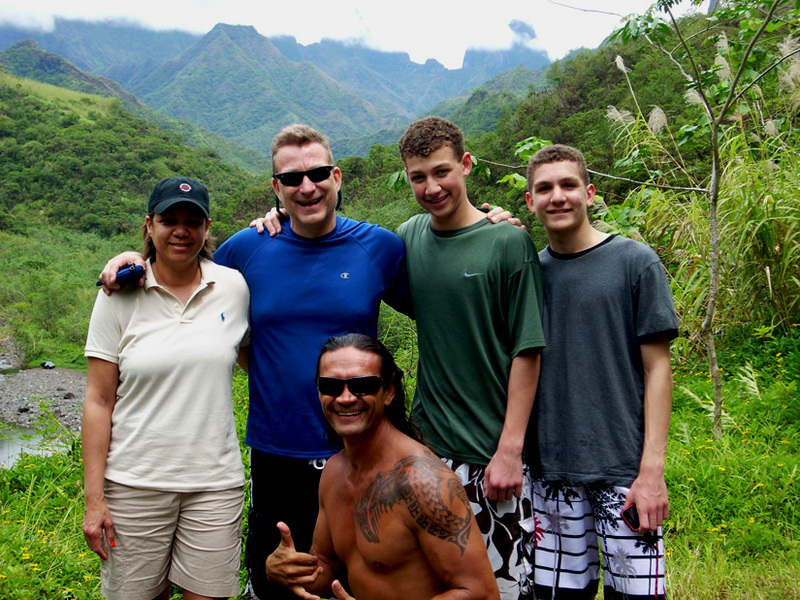 Will your sons join you on your travel adventures? Millers: We have always traveled a lot; we have visited over 19 countries thus far. Our boys also enjoy traveling; actively since they were a couple of years old. As business owners, we were able to travel more than 2 weeks at a time, we spent a month here in Florida a few years ago with the kids. The boys will continue to travel with us on college breaks and vacations but most likely these will be shorter trips. REL: What will you do about transportation? Do you own a car? Will you continue to keep your own transport? Millers: Both Lynn and I each have a car but we are finding that we really need only one car now that I am retired. We plan to sell her car later this year. We are not sure we are ready to fully let go of a car but I can certainly see the financial allure of doing so. I guess time will tell. REL: What will you do about healthcare? Are you open to medical tourism? Millers: We purchased a catastrophic plan from Florida Blue that covers all routine visits, dental, vision and other preventative care. However, if either of us go into the hospital, there is a $10,000 deductible for that. We are healthy and have not been hospitalized in many years, so I think this is a good option for us. The cost for Lynn and I came out to about $300 per month. When we were considering college costs, we found that college health care plans for the boys ran about $4000 to cover both of them. Once I found that out, we elected to add them to our Florida Blue account which raised our premiums to just under $500 per month, so this was a much better deal than electing to get the on-campus health care. We are certainly open to medical tourism, especially after reading your articles about the cost differences. REL: How do you plan to manage your finances while on the road? Miller: We use Quicken to pull in all transactions from our bank accounts, Fidelity Investments, college accounts, and credit cards. I download this information every few days, categorize our spending, and inspect our net worth. We use your method of daily cost averaging, so I update our daily spending to net worth spreadsheet every 7 to 10 days. Our bank has online banking and bill pay, so we will use that to pay bills without the need for checks. We plan to use our Capital One rewards card because it is easy to redeem the rewards online. Based on your suggestion, we will try to keep on hand about $200 in small denominations of US dollars for times when we need quick cash. REL: Can you share with us anything about your portfolio? Did the market declines affect your retirement nest egg? Millers: We manage our portfolio using Fidelity and we have a well balanced portfolio consisting of mutual funds and bond funds that include domestic bonds, large and small cap stocks, international stocks and cash. We review our portfolio for re-allocation yearly to ensure we are consistent with our desired asset allocation. Since we are retired, we wanted to protect ourselves from short term market losses so we keep 1 year of expenses in cash, 1 year in bonds, and 3 years in low risk money funds. This provides about 5 years of protection so that we are not inclined to sell securities for living expenses when the market is down. We replenish these funds when the market is doing well. As far as the 2008 market collapse, we actually received most of our nest egg in 2009/2010/2011 when stocks were on sale, so it actually worked out well for us. Millers: We plan to withdraw between 4% – 5% of our net worth annually for our retirement budget. This equates to a little less than our take home pay prior to retirement. REL: Share with us your best money-saving secrets. Millers: I really like the Capital One rewards card. You get 1% back on travel related spending and half that on other spending. Redeeming the money is quick and easy, redeeming from the website takes seconds. We use that card for almost everything we buy and I pay that card off weekly. That is a little obsession of mine; I hate debt and paying it off weekly suits me fine. We also do not carry debt of any kind. Our condo and cars are fully paid off and we carry no consumer debt. As they say, they have never foreclosed on a house that was fully paid off! Millers: I love traveling, hanging with my wife and kids, golfing, boating, photography, blogging, spending time with friends and making new ones. I love anything adventurous. Millers: Raising our sons has been our greatest accomplishment. 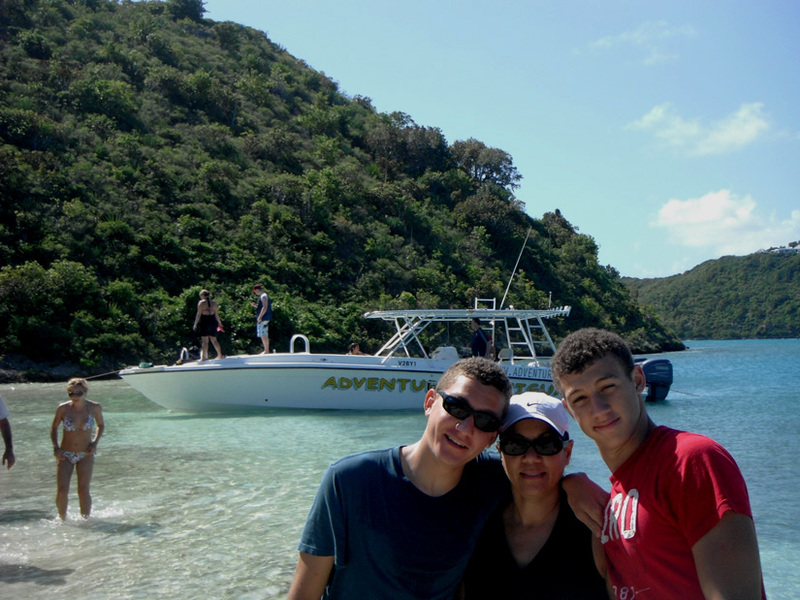 Our boys are bright, respectful, and adventurous and they still like to hang out with mom and dad. I am also fortunate to be one of the first people in our family lineage to complete college and we have a lot of pride in building a business that allowed us to realize our dream of early retirement without any outside financial backing. REL: If you had just 5 years to live, what would you accomplish or do with your time? Millers: I would do exactly what we are planning to do. 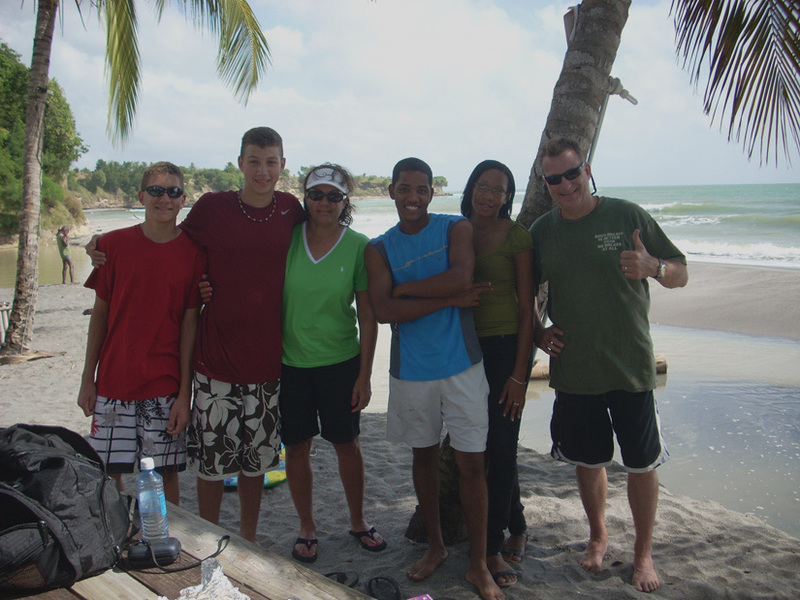 Travel extensively, spend time with our boys, make new friends and just enjoy life. I can also see volunteering our time as the opportunities arise. Millers: After we get our boys checked into college in August, we will spend a week in Maine and Nova Scotia. 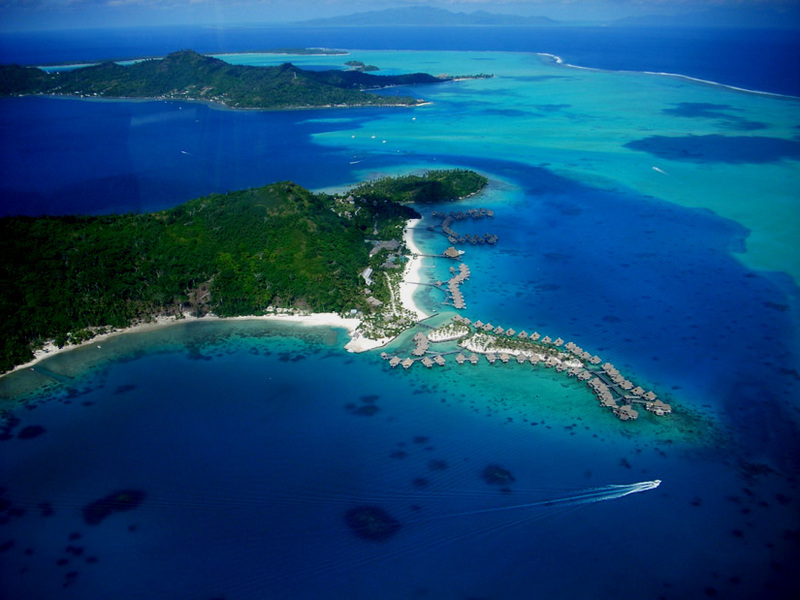 Then we are planning a 3 month excursion that takes us to Ecuador, the Galapagos Islands, Peru, Machu Picchu, and Belize. Look out world, here we come! 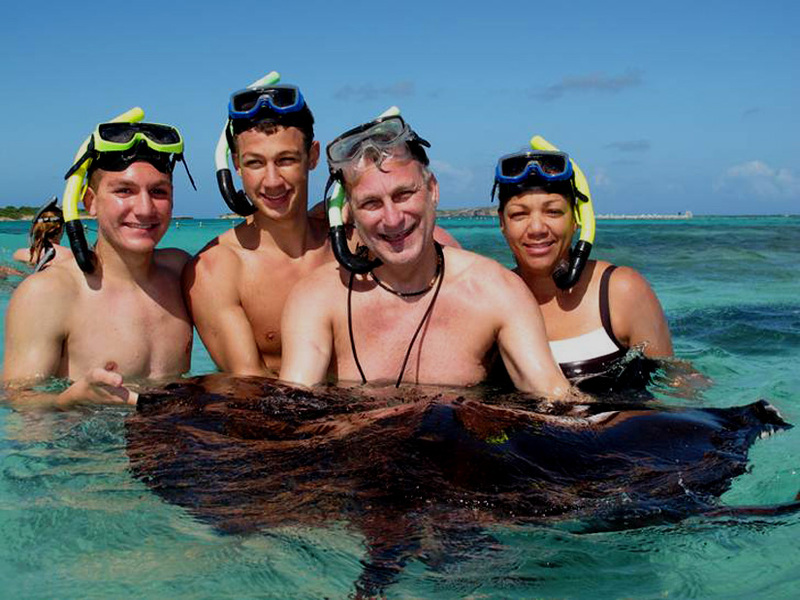 Steve and Lynn Miller retired at age 50 and now spend their time traveling, making new friends and enjoying the adventures of life. Their travels are chronicled at WeBeTripping.com, so feel free to sign up for their travel blog. This entry was posted in Early Retirement, Money Management, Our Travels on August 18, 2012 by smiller257. I recently read an issue of Money magazine whose headline story was “How to reach $1 Million“. I found it very interesting because it discussed several ways for reaching the status of millionaire and it said that the odds were one in 12. For us mathematicians, that puts you at less than a 10% chance of pulling it off (8.33% chance sounds slightly more intimidating than one in 12). According to Money magazine, the main outlets for becoming a millionaire are from real estate, owning and selling a business, investing, climbing the corporate ladder, and becoming a super saver that lives on beans and rice, water and nothing much more than that. So how do we mitigate risk? First, identify the risk(s). For us, building a new software business without any outside funding carried the risk of running out of money from being unprofitable which meant we would not be able to carry on. To mitigate that risk, I continued software consulting as I was building the business — that brought in the required cash flow needed to fund the business until it was self-sustaining. Even as Lynn did our company financials, she worked outside of our company to help fund our cash flow. We get freaked out about all kinds of stuff. What happens if I don’t make it? What happens if the economy tanks? What happens if someone sues us? Fear is not a bad thing — it keeps you in check and helps you make hard decisions. The best way to come to grips with your fear is to plan for the worst case. What would have happened if our software business model was wrong and unprofitable? I would have went back to consulting and been just fine. What happens if the economy tanks? Well, it did in 2001 and 2008 and we came out fine. We did it by refocusing and leaning out our expenses. We even sold our larger house and more expensive cars, replaced by a smaller house and much older (paid off) cars to lean out our expenses — so that we could plow more money into the business. That’s the commitment level that’s needed. What happens if someone sues us? We had good contracts in place with each of our clients and we owned an umbrella insurance policy to protect our personal assets from this type of risk. As my wife says — if it were easy every one would do it. It’s true, it takes a lot of really hard work and sacrifices. When times were lean, we did more of the work rather than sub-contracting it out. At times, we did our own marketing, Google search engine optimization, website design and refresh, programming, and helped with sales. We renegotiated contracts for better rates, reduced our expenses, and kept laser focused on our daily cash flow and financial statements. When times were good, we banked money to prepare for the rough patches. All of this took much more than your normal 40 hour work week. But we always celebrated our successes and spent quality memory-building vacations with our kids. So how much is enough to retire? Do I have enough now to retire? Take the amount you have saved up and multiple it by 4% and then by 5%. That gives you the range you can live on because to ensure that you won’t have to work again, you need to keep your expenses within that range of spending per year. If you had $1 million, that means you could spend between $40,000 and $50,000 per year and should not run out of money. A million dollars is not what it used to be, but I know many early retirees that are living on that level of income without any hardship, travelling constantly and are enjoying life to the fullest. Don’t believe it? Check out http://www.RetireEarlyLifestyle.com — Billy and Akaisha retired at 38 years old and are now in their late 50’s and live a very exciting life on less than $40,000 per year. How much will I need to retire? Figure out the amount you need to withdraw per year and multiple it by 20 and then by 25 and that gives you the range ($40,000 per year times 25 equals $1 million for the conservative range and $50,000 times 20 gives you $1 million for the slightly aggressive range). Don’t let fear rule your life. Create a plan, list and manage the risks, and move forward. As an aside — I found a really good website that explains investing in layman’s terms. It was written by early retirees Kevin and Valerie Cooper: http://coopsecondact.wordpress.com/investing-101/. I hope you find it helpful. Steve and Lynn Miller reached financial independence in 2012 at age 50 and now enjoy traveling, fitness, cycling, photography and lots of other hobbies. In his spare time, Steve develops mobile apps. His latest project is an app that allows you to countdown the days to retirement or financial independence: http://www.CountUsDown.com/Retirement. This entry was posted in Early Retirement, Money Management and tagged early retirement, financial freedom, financial independence, lifestyle freedom on August 8, 2012 by smiller257.